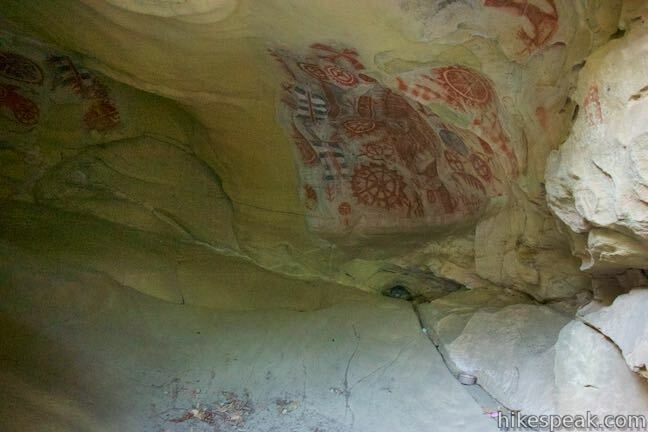 Chumash Painted Cave State Historic Park preserves centuries old Native American artwork that graces the wall of a sandstone cave in the Santa Ynez Mountains behind Santa Barbara. 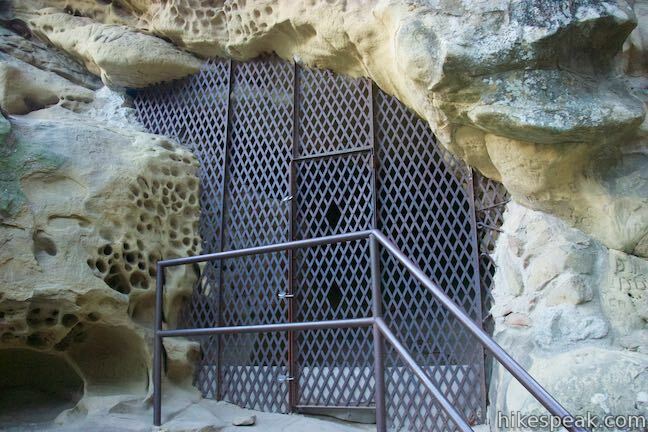 Chumash Painted Cave can be reached by walking a couple hundred feet up a trail on Painted Cave Road. The trailhead is just two miles from California Route 154, making it a quick, convenient, and interesting stop for travelers crossing the 154 between Santa Barbara and the Santa Ynez Valley. 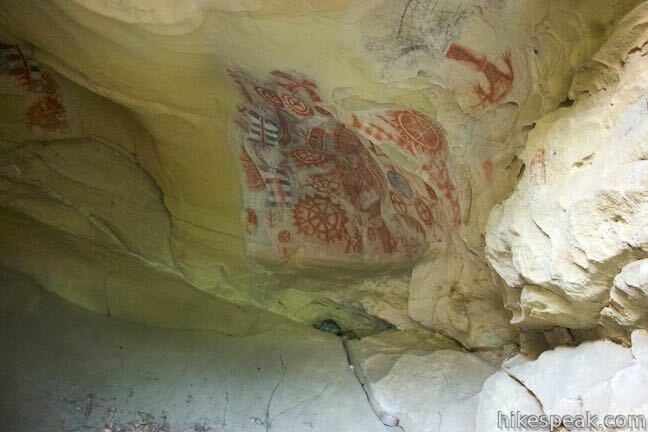 Chumash Painted Cave State Historic Park is a very small park with no facilities. If you aren’t watching carefully, you could drive right by the small roadside parking area and the park signs. 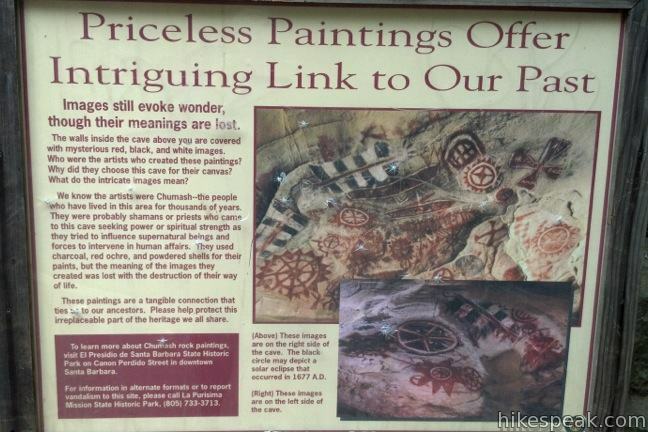 Look for parking next to a sign along the road labeled, “Priceless Paintings Offer Intriguing Link to Our Past,” which describes and depicts the painted cave. 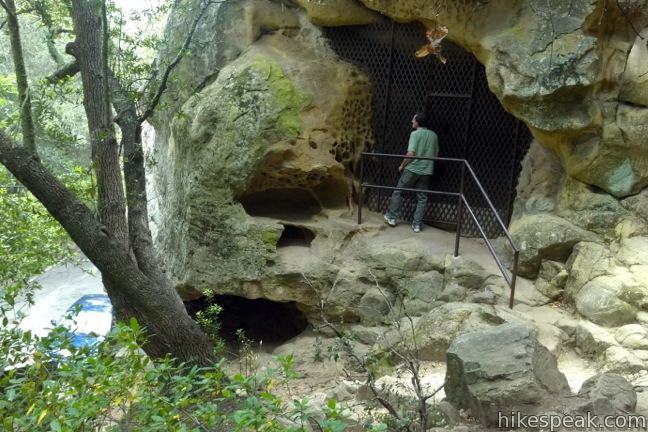 The cave is visible from the road, a short distance up a quick trail with a few stone steps. 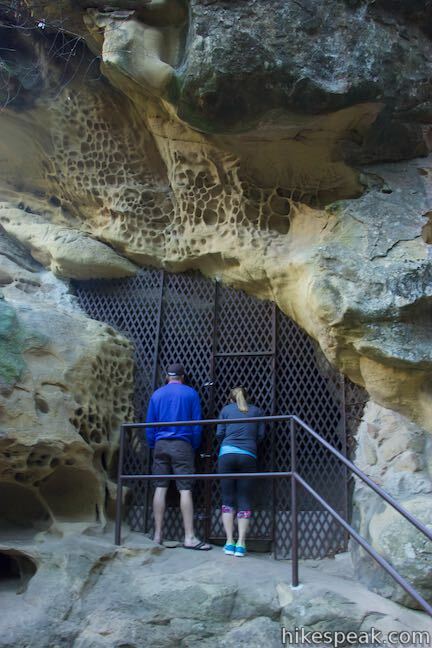 The shallow cave is tucked within a block of sandstone that hangs above the road. 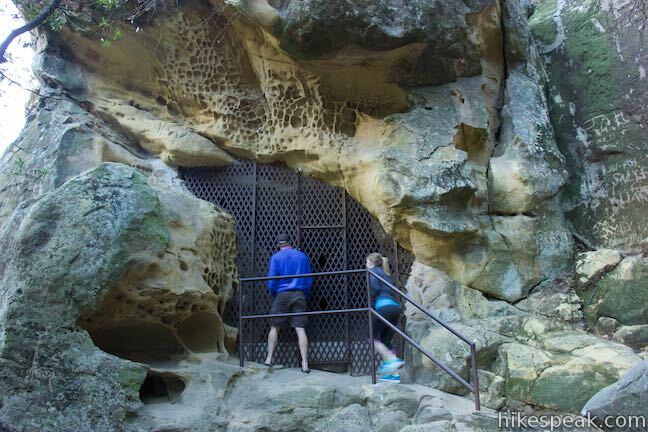 An iron gate crosses the mouth of the cave to protect the artwork and keep visitors out. Luckily, the spacing between the bars offers ample room to look inside. 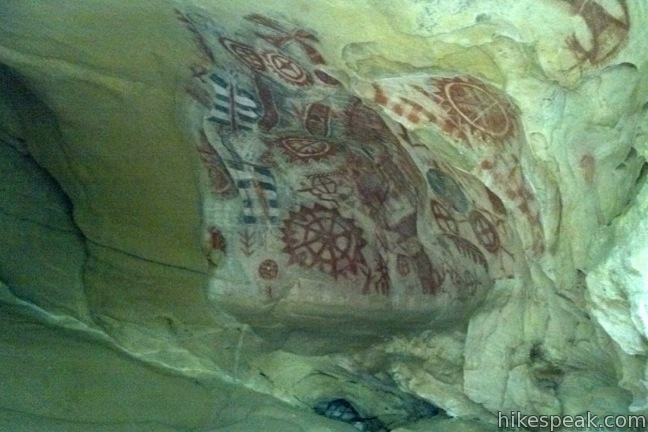 We know the artists were Chumash—the people who have lived in this area for thousands of years. They were probably shamans or priests who came to this cave seeking power or spiritual strength as they tried to influence supernatural beings and forces to intervene in human affairs. They used charcoal, red ochre, and powdered shells for their paint, but the meaning of the images they created was lost with the destruction of their way of life. 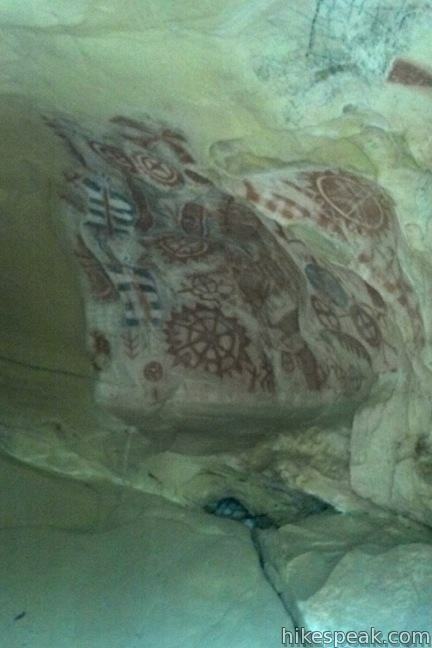 Today, the Chumash Painted Cave preserves some of the best remaining rock art created by the Chumash Indians. Anthropologists might not know what the images mean or in what century they were created, but you can have a look for yourself and create your own story. A dirt path continues up the mountainside from the painted cave, but it quickly grows steep and faint, so there is no need to explore beyond the cave. 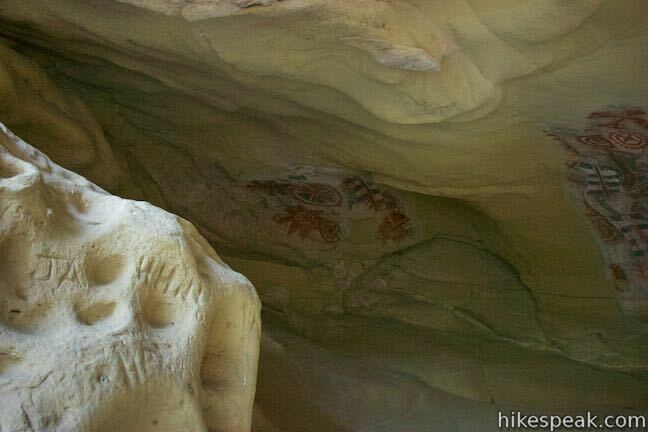 No fee or permit is required to visit Chumash Painted Cave State Historic Park. For a nearby hike that also has some interesting history (and great views) check out Knapp’s Castle. 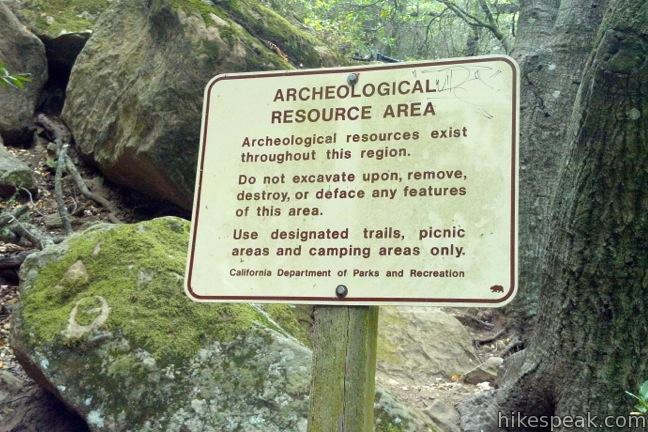 To get to the trailhead: From Santa Barbara, drive 5.5 miles north on California Route 154. Turn right on Painted Cave Road (across from San Marcos Road and 2.3 miles before East Camino Cielo). Drive two miles up the steep, narrow, paved road to the park. There is room for a few vehicles to park along the road next to the sign for the painted cave. 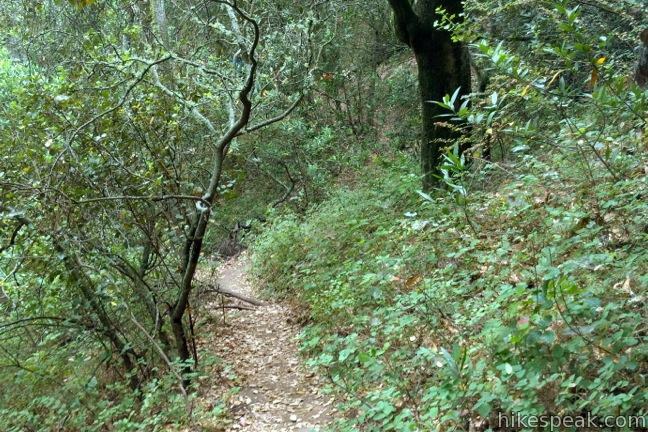 Beyond the trailhead, it is 1.2 miles to the top of Painted Cave Road at East Camino Cielo. These photos were taken in July of 2012 and December of 2014. Click to enlarge. 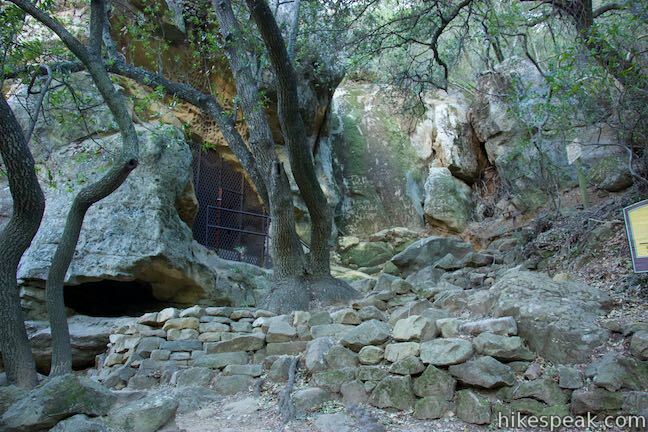 This easy 0.8-mile hike visits the scenic ruins of an estate home built atop the mountains behind Santa Barbara. 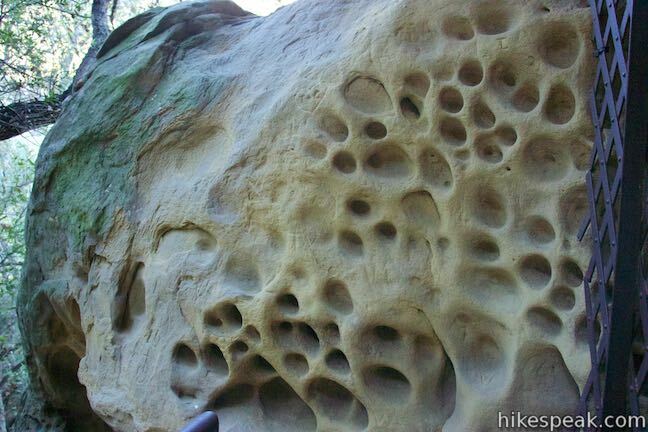 This half-mile hike visits a unique rock formation with amazing views over Santa Barbara and the Pacific. This 7.55 to 7.95-mile round trip hike ascends 1,400 feet up the western side of Jesusita Trail to a panoramic perch in the Santa Ynez Mountains with great views over Santa Barbara. 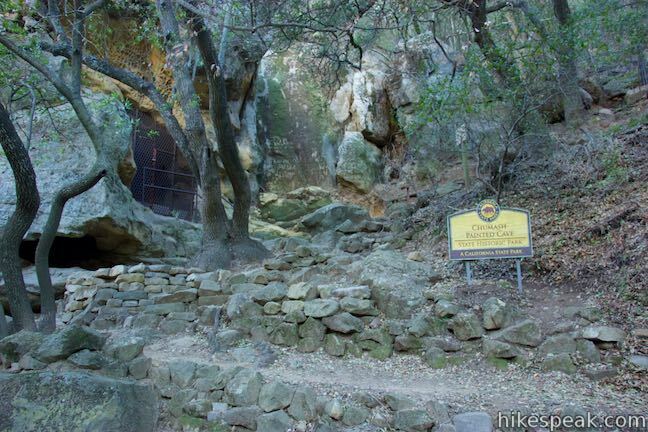 This 3.75-mile round trip combines Tunnel Trail and Jesusita Trail to ascend Mission Canyon to a sweeping viewpoint that looks down over Santa Barbara and up into the Santa Ynez Mountains. This 7.1-mile partial loop climbs to a panoramic summit in Los Padres National Forest overlooking Montecito and Santa Barbara. This 2.5-mile hike visits a beautiful waterfall on the edge of Los Padres National Forest near Santa Barbara. This 3.7-mile hike uses four trails to form a loop through the mountains behind Montecito, California. Explore other destinations along the California coast between Ventura and Monterey.